A local guide in your pocket! Why not Slovenia? 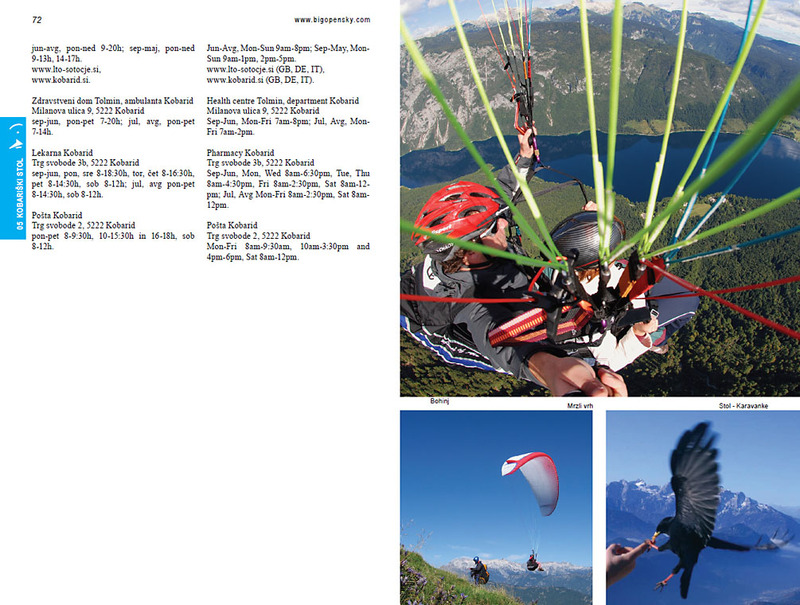 Slovenia is considered one of Europe’s most prized paragliding destinations. Some world`s top pilots come from Slovenia, world records were flown here during past few years and good flying is possible almost year round. The 168 page Guide book is published bilingual in Slovenian and English. Together with 26 maps and 13 color photos it delivers detailed information for all the major flying sites, plus all the other essential information for pilots flying in Slovenia. The completeness of information in this guide book is sufficient to ensure you a very pleasant and safe visit to our wonderful flying sites. In the Guide book you can find many specific information which are not available on-line. addresses of TIC, local health centres, pharmacies. Besides detailed information for each flying area there are also some general information added: short flying rules, SOS for pilots, special first need flying dictionary, log book and more. All information included in the guide book were carefully checked in place. Written by Matevž Gradišek with support of some best local pilots. Have the precious information for your next flying trip by your hand whenever you need it! It costs only 23.49 € + shipping. We ship worldwide. 30 days money back guarantee applies! 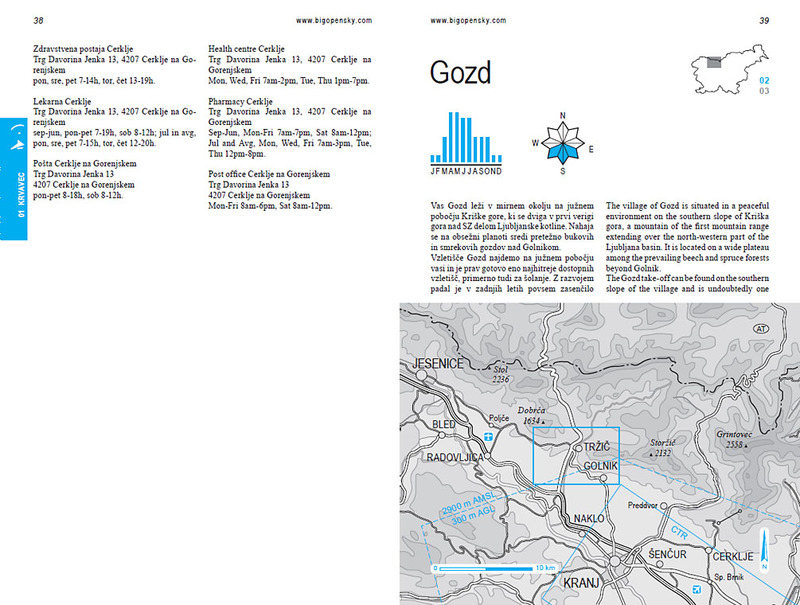 The first page of Gozd flying area with the general map. Some photos (Bohinj by Primož Lajevec, Mrzli vrh by Klavdij Rakušček, Stol in Karavanke by Matic Erbežnik).